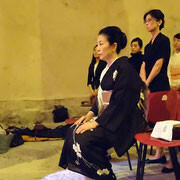 -A part from Nagauta "Matsu no midori"
- A part from Nagauta "Matsu no midori"
The Croatian Four Years War ended 20 years ago. 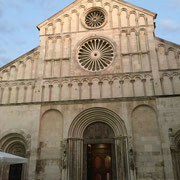 We saw the remaining during our visit. 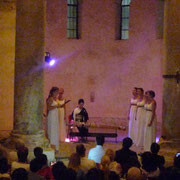 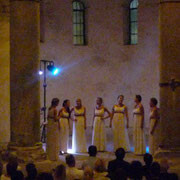 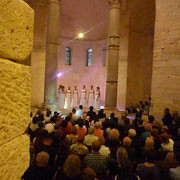 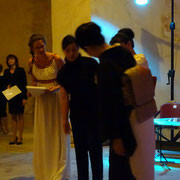 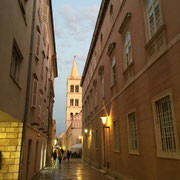 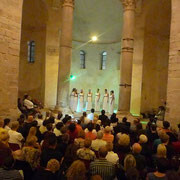 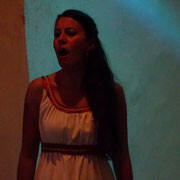 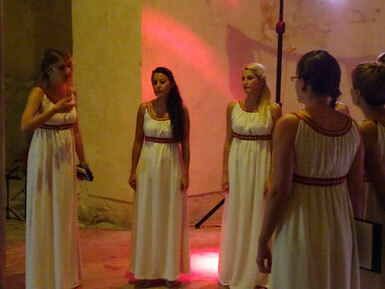 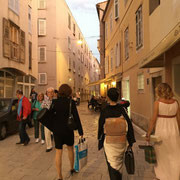 Klapa Kapric requested Shima Uta (Island song) for the concert. 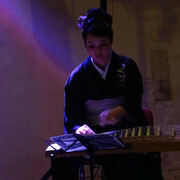 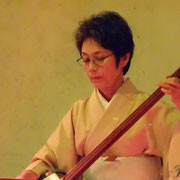 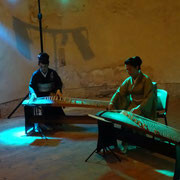 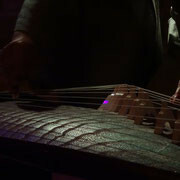 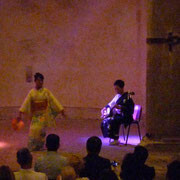 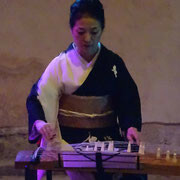 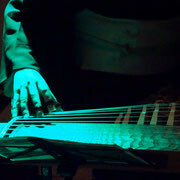 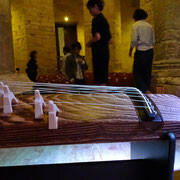 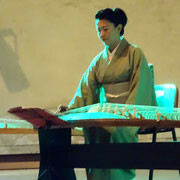 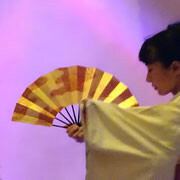 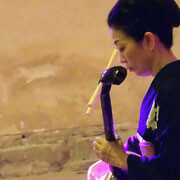 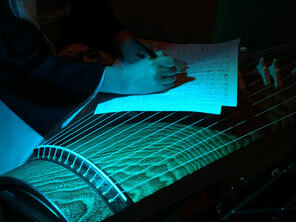 Mayumi Ono added the koto part and played with Klapa members who sang most of the song in Japanese and the chorus ended in Croatian. 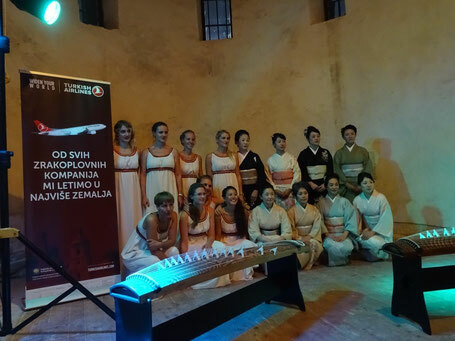 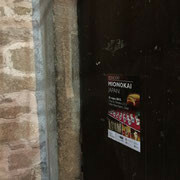 Croatia and Japan far away with a long-distance, but the moment comes together in heart. 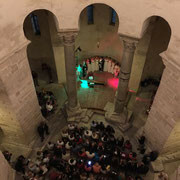 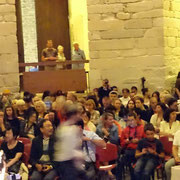 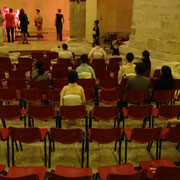 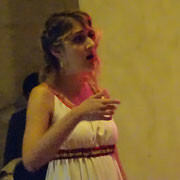 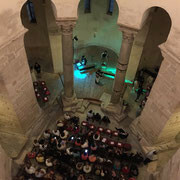 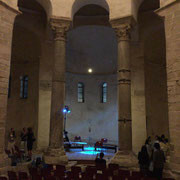 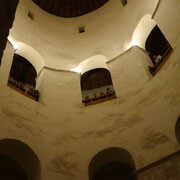 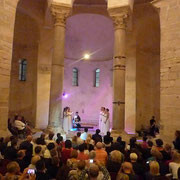 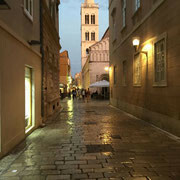 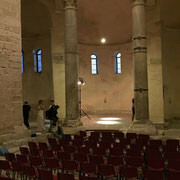 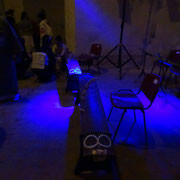 Many visitors had filled the church before the concert started.